If you have been following my blog for a while, you are probably aware of my fondness for clothing from The Fairies Pyjamas. As soon as I saw this woman in her blue cloak, I knew it had to be a Fairies creation. The shape and colour are so flattering, and she looks like she could have stepped out of an enchanted forest. 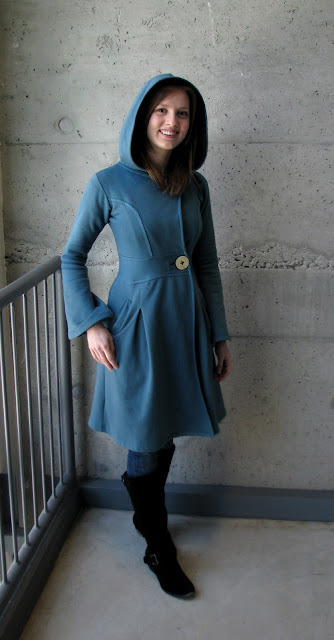 Fairies has men's clothing as well, and you can see some of their new designs for spring and summer (including this coat) on their website.